NEW IMAGE PROMOTIONS: And The MOBO Award Goes To....? Ward 21 'Still Disturbed' 5th Studio Album Out Now! And The MOBO Award Goes To....? Ward 21 'Still Disturbed' 5th Studio Album Out Now! walked away with the award over strong contenders such as Taurus Riley, Sean Paul and Chronixx. Stylo G made an impact on UK fans around 2010 when he busted on the scene with a song called 'My Youth.' It took him all over the UK but the artiste wanted to get back to his 'Dancehall' roots because 'My Youth' was Grime music. Stylo G's biggest challenge since had been putting in the groundwork of getting reggae and dancehall fans in the UK to get to know him and not just knowing him as a grime artiste. He had prepared an acceptance speech for the year before (2013, he shared with the MOBO audience) obviously expecting he would have won then, and went on to big up the voters who made it possible for him to win. 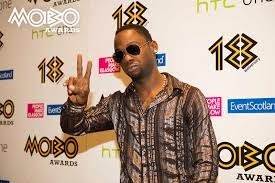 Stylo G is from Spanish Town, Jamaica...watch him accept his MOBO Award! 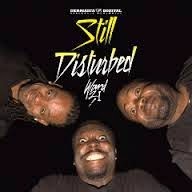 Ward 21 'Still Disturbed' 5th Studio Album Re-Launched! It's real Dancehall for real people, a real album with real music....WARD 21 has officially launched their latest album, 'Still Disturbed!' 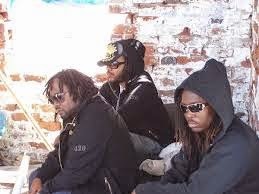 A group, in which the members were schooled and cultured in creating Dancehall beats when the genre was transitioning into digital music back in the 90s and working from the studios of King Jammys, accredited for the introduction of computerized and digital reggae music from as way back as the 80s, has now dropped an album they say, was created to return the focus on Dancehall, what it is or should be. Unlike the usual compilation of already released 45s which are common for Dancehall albums, WARD 21's 'STILL DISTURBED' project is a course in the history of the last 15 years of Dancehall and further described on their website as, the essence of Dancehall and nothing short of saving the integrity of the genre. WARD 21 might modernize and update their music, but have "always kept the roots of the music alive so that Dancehall can survive.